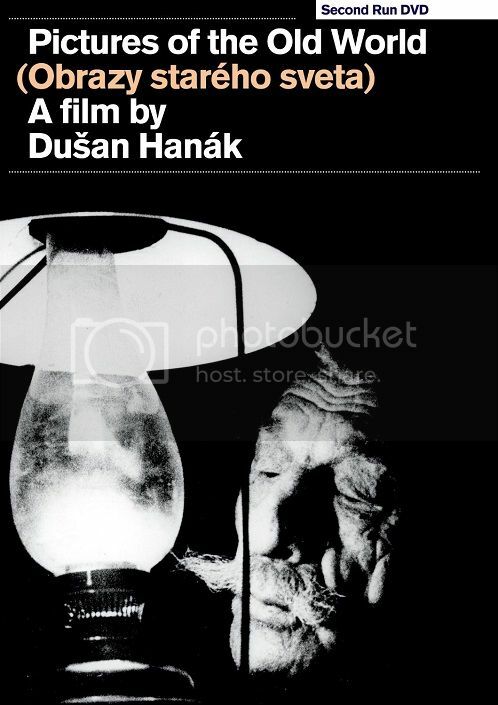 Dušan Hanák's mesmerising 1972 documentary confirmed as an upcoming Second Run DVD release in their latest newsletter. The Second Run newsletter states that this was voted best Slovak film by Slovak film critics: I would imagine it's quite unusual for a documentary to be voted a nation's best film by its critics so this is clearly going to be of some interest. Does anyone know much about it? "Singular and shattering... The two directors who come to mind while watching PICTURES OF THE OLD WORLD are Chris Marker and Pier Paolo Pasolini... The way Pasolini filmed the faces of real people with all their supposed aesthetic defects as a way to question what we would coin as 'beauty' is also adopted here... these images only add to the film's bracing sense of existential gravity. Exceptional"
Full details of our PICTURES OF THE OLD WORLD release are now up at our website. 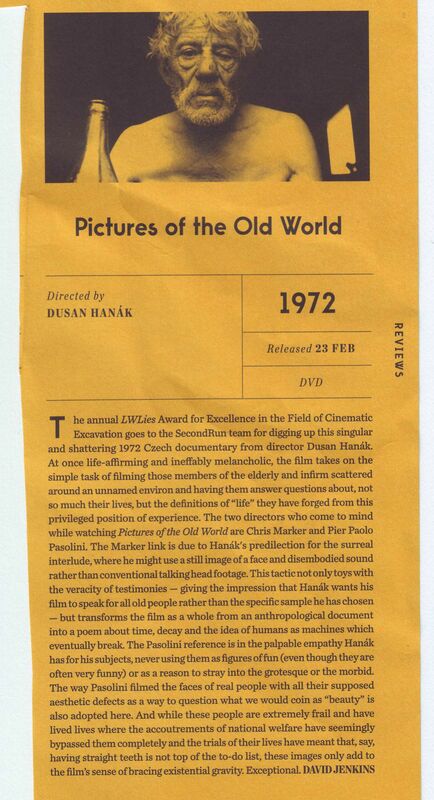 "The most extraordinary, unique and compelling film I’ve seen for a long time, Pictures of the Old World manages to be simple, sincere, heartfelt and powerful; as well as feeling like a joyful meta-encounter between Bela Tarr, Jan Svankmajer and Samuel Beckett"
Close-Up Film review Hanák's PICTURES OF THE OLD WORLD. "Beautiful and staggering documentary... an example of thoughtful and formally expressive documentary cinema that should not be missed." The film’s reputation has steadily risen ever since and it’s easy to see why; Pictures of the Old World is a treasure. "A real rediscovery, another in the remarkable haul that distributor Second Run has brought us from the Eastern European film archives... one which grows in power, at times achieving an almost ecstatic sense of life itself, its laughter and tears, combined with a pronounced Surrealism"
"As life-affirming, precious and unique as Pictures of the Old World is, Second Run’s extras push the package from desirable to essential"
"A portrait, in chrystalline monochrome... the result echoes the ethnography of Pasolini and Ben Rivers, the pop art of William Klein and the wildness of Jan Švankmajer"
"It's a marvellous release of a vital film." My first Second Run purchase, a blind buy, and the best documentary I've seen in several years. I'd put it in the same category as Happy People: A Year in the Taiga and Jana Sevciková's Old Believers, sort of poetic ethnography- I liked both of those films a lot, but I liked this one a good bit more. Blown away by this film. Mesmerising. Cosmic. A real treat.